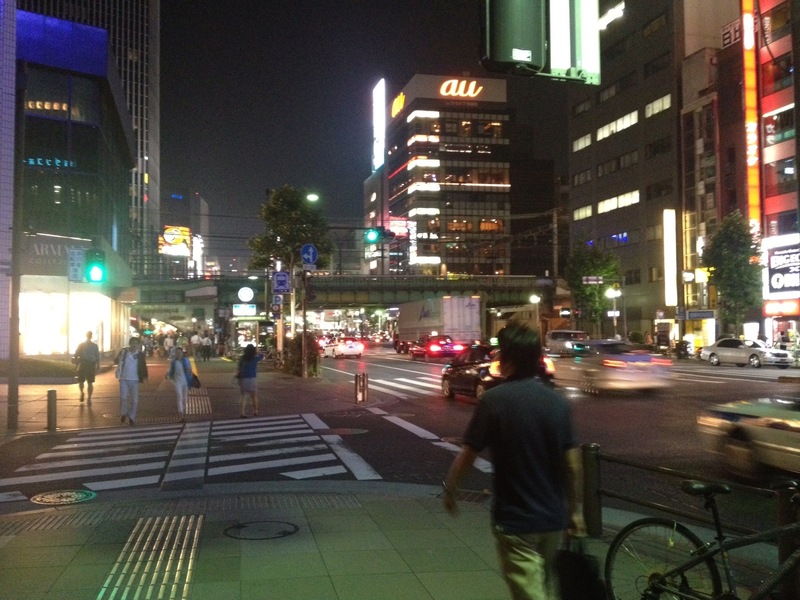 I arrived in Tokyo last night, 10 minutes before I left Vladivostok. All this time zone stuff is a bit difficult to cope with. I flew Aeroflot, boy what a change. My central point all through my Russian tour is the degree to which things haven’t really changed, but Aeroflot is one welcome exception. 30 years ago I flew from Moscow down to Stavropol in the south, and the flight was terrifying and disgusting in equal measure. Well, here we are, flying in an Airbus A320 (phew), two very charming air hostesses, steak and a decent snifter of an Italian chianti. I could get used to this. I mentioned in my last post how perhaps the essence of travel was differentness: I should add variety. The contrast between the Wild West of Vladivostok’s potholed stock car racing (aka the rush hour) and the smooth hum from the Tokyo tarmac as my taxi driver, clad in white gloves, whisked me to our hotel was massive. I say our hotel, as I am going to be joined by my wife and son (our 2 daughters are in South Africa on a sports tour), which makes me very happy. This being the leg organised by Her Majesty, everything is spot on pucker: I have gone from not being able to put loo paper in the train loo (I know, a little unsavoury) to having one that automatically raises the loo seat as I approach. Only the first seat mind, and not the second: I suspect my advancing years mean a catastrophically lower hormonal signature. Heho. Japan, although firmly in the Developed firmament, is still thoroughly different. It feels like New York only much bigger and infinitely cleaner. I arrive as the evening is getting going: much laughing and joshing in street cafes, all in 90% humidity and 27 degrees C. Waking up the next morning, I am determined to make the most of the day: however, all I seem to do is lurch from one apology to another as I transgress in so many different ways: for instance, given a wet towel at a restaurant, I smear it over my florrid face, only to see reactions akin to those witnessing some mooning from the pavilion at Lords. I resolve to mug up on the customs.